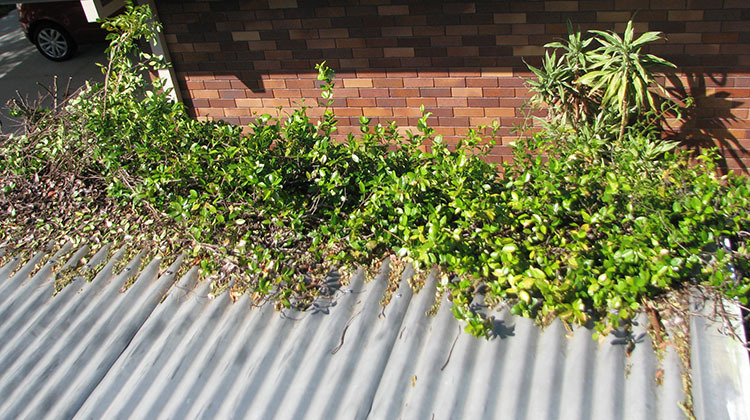 Often Brisbane gutters require biannual cleaning. Leaves, twigs and other debris can collect in gutters and cause water to back up, sometimes flowing back into your facias and rotting the wood in your home. Otherwise, the water flows into your landscaping and can cause damage and foul odours. We offer both gutter cleaning and minor repairs. Not just a sideline, we take this part of our business seriously. Obviously we are trained at working at height. We also have a range of safety equipment so you can be sure there won’t be any problems. 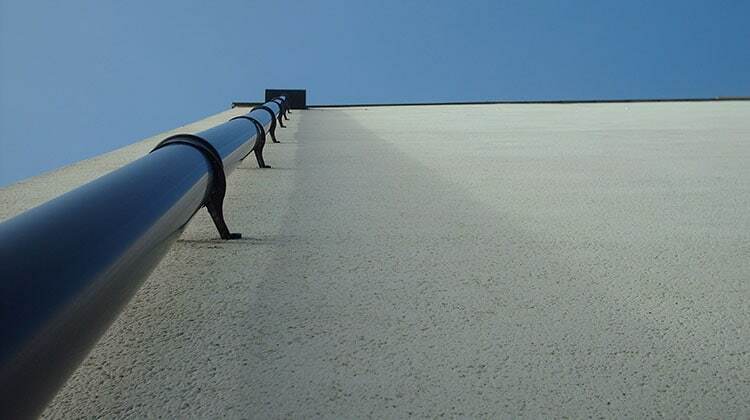 We are equipped to clean gutters in homes and in commercial buildings of any size all over Brisbane. Our prices are competitive and our cleaning is thorough. We understand you may not know the condition of your gutters so we photograph your gutters when we are quoting. Just ask if you would like to see the amount of debris in your gutters. 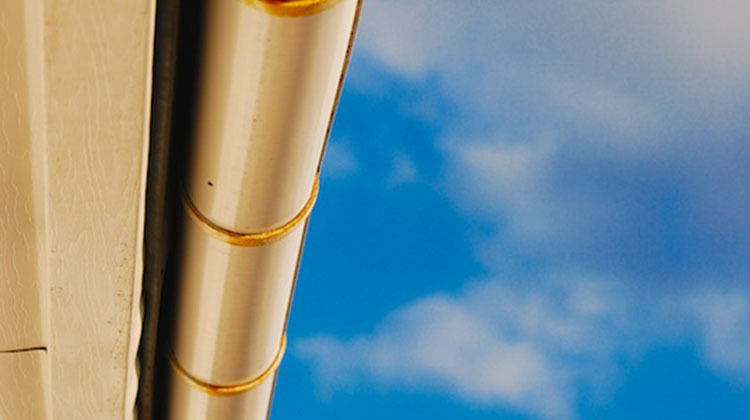 Depending on the slope of your roof and its structural integrity, our gutter clean usually includes removing the debris from your roof as well. We figure there’s not much point in cleaning your gutters if there is more rubbish that will fall into your gutters in the next storm. Our high quality gutter guards can stop leaf matter falling into your gutters in the first place. We are also well-placed to remove overhanging branches should they be an issue. When we quote we can suggest the main problems for your gutters and how to stop them blocking. Some gutters are infected with mildew because of dampness from being block or being incorrectly sloped. We use a non-toxic solution to clean mildew from gutters and downpipes so your tank water isn’t poisoned. For a fully-professional gutter cleaning service in all Brisbane suburbs, phone us on 1800 873 377 or mobile 04 888 27267. We will inspect and quote on cleaning your gutters at no cost or obligation and even photograph your gutters. We can often diagnose the cause of your problems while we are there and provide a range of solutions. It’s all part of the Brisbane Trees and Gardens gutter cleaning service. This gutter had vine growing up the wall of a shed, up to the eaves and between the soffitt and gutter. It then filled the gutter and grew out over the other side. A clean gutter. We used a chainsaw to cut the vine from below. Then a hard brush was used to clean the soil from the gutter and also on the roof. 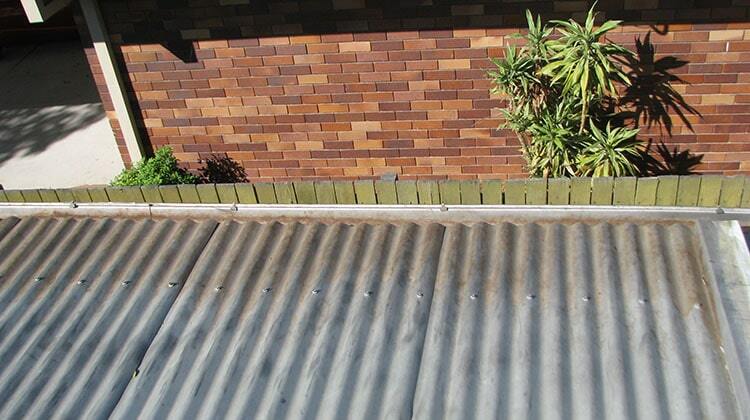 If you live in Brisbane and would like to save your gutters, call us for a free assessment and quote.